A backpack manufacturer list is just what you need if you're In the market for a hiking backpack. Buying the best backpack brands just makes sense. You also need information on how to buy top notch backpacks without overspending or making a mistake. Which backpack company makes suitable packs? Which brands are getting the fit and features right for women hikers? The answer to that will put a great backpack on your back! Stick with the backpack manufacturer that gives you fit, function and fun! To call out the best backpacking packs, as well as packs for day hikers, based on Hiking For Her's long trail experience. An honor roll, if you will. Quite literally, let's call out the names of the most popular, and most reliable, backpack makers. years upon seasons upon weather events full of usage. So I've gotten the zippers full of grit, pounded mud into the back panels, hoisted the pack too many times to count, and adjusted every strap and buckle. And if I haven't purchased and worn them myself, I've racked up lots of mileage on day hikes and backpacking trips with other hikers who have. If you're interested in lightweight or ultralight backpacking gear, you'll need to use a more specialized backpack manufacturer. Sadly, the manufacturers of my beloved (and somewhat ancient) GoLite backpack are no more. But ULA does everything right. You can take my word for it, or you can go on a best backpack manufacturer hunt yourself. Here's a strategy to use. Look at the packs being worn by the hikers who hike the way you want to. Ultralight packs and casual dayhike packs are vastly different. Day hiking backpacks don't need a lot of the features on a backpacking pack. Hiking gear companies will develop different product lines to cater to different hikers. Watch the descriptive language to begin to make sense of which product lines are right for you. Sometimes, the company specializes in one particular type of hiking only. A fun trail activity: At a busy trail head or on a well used trail, note which brands of backpacks are being used, and by whom. Go to an online gear store such as REI or Outdoor Play. Do a search for backpacks, and note which brands come up on the gear sites. Are they the same ones you saw on the trail? Also note the price points, volumes, and features. Drill down until you find the right subsection of packs for your needs. Not sure what you need? Read HFH's take on how to pick a backpack. REI features customer reviews for its products. You can learn a lot about a backpack from those comments. You can also reap at least 14 benefits from being an REI Co-op member, detailed here. Read carefully to discern when the reviewer made a mistake with the gear (over loaded it, or perhaps didn't use the adjustment features). Sometimes people like to vent, and it's not really about the product. Other times, you can tell that the quality control failed. 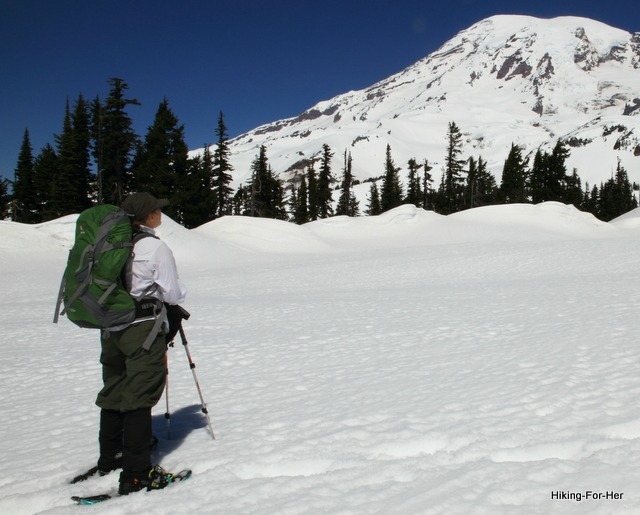 You can start here, with Hiking For Her detailed, unbiased gear reviews. And check out good sources of gear reviews here. If you're about to buy a new pack, ask hikers for their opinions on high quality and good price points. I don't mind when someone approaches me at a trail head to ask how I like my hiking gear, as long as it's done in a non-creepy manner. Too shy to do that when you spot a veteran hiker? You can use this CONTACT link to send me your questions. Maybe you, like me, want to keep life simple. Brand loyalty is one way to minimize your hiking planning and angst. If you find a gear brand which can deliver the goods, and back up their products with great customer service and policies, then stick with them! Caveat: If the brand is sold to another company, watch for quality and performance issues popping up in gear reviews. Another avenue to a high performance, durable backpack is to experiment with marked down, end of season clearance packs. It might take you a few attempts, but you'll find the backpack that fits your frame and works with you on the trail. For discount gear tips, start here. Rent a few packs from reliable outdoor gear companies, like REI. Keep notes in your trail journal about what worked, what needed adjustment, and what you couldn't bear. My intention is to build an inventory of the features peculiar to each manufacturer of backpacks. What makes a Deuter pack different from an Osprey backpack? Why has The North Face brand been around so long? Does REI do anything differently when building its line of packs? Why is each company in business i.e. what is their philosophy toward making outdoor gear, and do they give back to the outdoor community in any way? Lots of questions, and I'll get to answering all of them eventually. Bookmark this page and check back as I go through the hiking gear companies, one at a time, and detail what sets them apart from all the rest. I'll tackle them alphabetically, beginning with Arc'teryx. Meanwhile, keep going in your quest for the perfect backpack with these shopping tips for women hikers. Hiking For Her chooses only the best backpack brands to share with you. Some of the links on this page and elsewhere on the website are affiliate links. 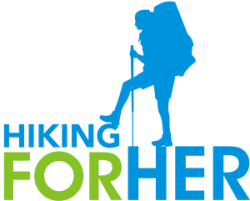 You pay nothing extra for your great gear when you purchase through the links, HFH receives a small commission, and the hiking tips keep flowing.